This was the last shot that I took on our last trip. 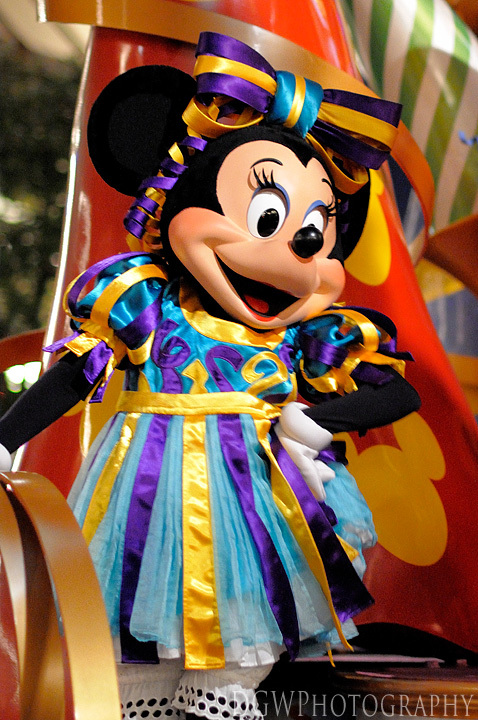 I was chasing after the parade, trying to keep up and get a decent shot of Minnie at the same time. I got a little motion blur, so I'm not entirely pleased with this image, but I do like how the colors came out.